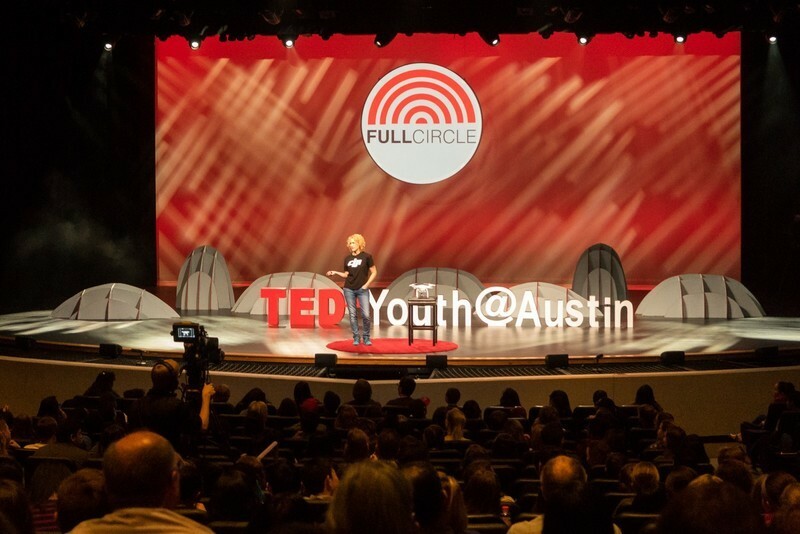 DJI’s own Stacy Garlington, Events and Product Experience Specialist, recently appeared at a TEDxYouth event held at Westlake High School Preforming Arts Center in Austin, Texas, U.S.
DJI’s own Stacy Garlington, Events and Product Experience Specialist, recently appeared at a TEDxYouth event held at Westlake High School Preforming Arts Center in Austin, Texas, U.S. She was a Surprise Speaker and took to the stage to tell the story of her personal journey into the world of drones, of becoming an aerial imagemaker, and joining DJI. Following her presentation, she hosted an exciting Phantom 3 flight demo at the event's interactive xLabs to let a new generation experience the world of aerial flight. Stacy was never really a technologist and neither did she have a strong artistic background, but she has gone on to have her photos published in major international publications like Forbes and TIME Magazine. This incredible new direction to her life stems from her lifelong pursuit to tell the world about the fantastic lives of humpback whales. 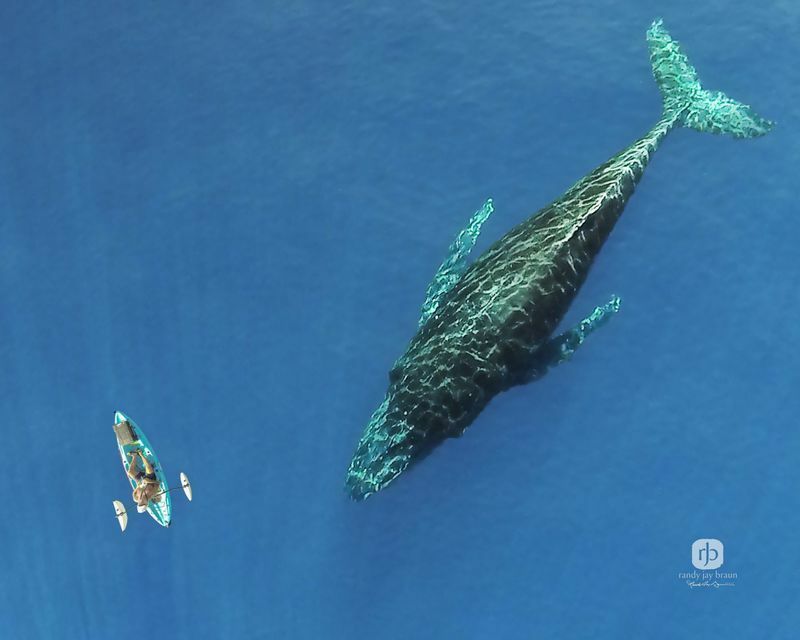 It was during a trip to spot humpback whales that a good friend of Stacy launched a DJI Phantom drone from his kayak and captured a photograph of a whale just as it passed beneath, first his, then her, boat. At that moment, she realized that this was a key to realizing her dream of not only photographing her beloved whales, but doing so from a completely new perspective that would set her apart from other photographers. In 2014, she bought her own DJI Phantom 1, a drone that was taking the market by storm and would go on to become the definitive flying camera. Its ease of use and high level of stability meant that after just a week of practice she was comfortable piloting through the skies. Another month and she was confident enough to launch from her kayak. Not long after, Stacy bought her second drone, the DJI Phantom 2. This iteration of the Phantom gave her direct camera control from a long way away. It allowed her to focus more on her photography than she could before, while also relying on the Phantom's stability and reliability. It made her head started spinning as she realized the infinite possibilities of what she could capture from the sky. As the technology has advanced and her own flying skills have improved, her ability to capture shots that were once impossible have increased dramatically, keeping her focused on her art. Today she shares her creations with the world through SkyPixel and other major social networks. Her unique wildlife and nature photography have also gained a large following, leading to 2015 when she received a phone call from Forbes Magazine asking to include a photo in an article and a request from TIME Magazine to include a photo in an article titled The Most Beautiful Drone Photos of 2015. Before long, she became a full-time DJI employee, and today she shares her enthusiasm and knowledge with new pilots and photographers every day. After discovering that the world of aerial flight is open to anyone, the students were excited to take part in Stacy's in-person demonstration of a Phantom in action at TED's xLabs, which aimed to bring stories to life through workshops and practical hands-on experiences. "Inspiring others is the most rewarding part of my job. Being able to bring new ideas to the next generation has lasting benefits to us all", said Stacy. Want to know more? Find Stacy Garlington's full presentation below and listen to her story in her own words.